Zauba is an absolutely amazing service. Though it was designed to help managers and businesses deal with shipping information, it has proven to be the most authentic and most reliable source of silicon leaks in the past. Because once again, something very interesting has popped up in the same site and from the looks of it, AMD is preparing new MXM based GPUs. Anyone wanting to check out the entries themselves can search Litho XT and Strato PRO on Zauba.com but for the sake of convenience I have attached screen shots of the same below. Take a good look at the entry, the nomenclature is undoubtedly that of AMD which favors the XT and PRO nomenclature in GPUs. I had a talk with Hassan about this and he pointed out correctly that Litho and Strato are probably shorts for Lithosphere and Stratosphere. So does that mean AMD is naming the new lineup on geo spheres of Earth? One shipping entry (Litho XT) is pretty recent whileas the other (Strato PRO) is relatively old. Only the fact that the cards are MXM based and the amount of memory is mentioned. 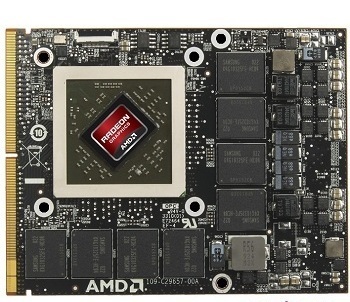 AMD’s Strato PRO is a Type B MXM GPU with 4GB of GDDR5 memory. Similarly, Litho XT is a Type A MXM GPU but has just 2GB worth of GDDR5 memory. I would expect both cards to have either a 128bit or a 256 bit bus (with the former being more probable). The term XT usually denotes a more powerful variant with an uncut die while the term PRO usually denotes a cut die (and in some cases, a business variant of an SKU). Logic would dictate that Litho XT is the powerful variant but I have a hunch (powered by the amount video buffer) that Strato is the more powerful variant and that a Strato ‘XT’ could be in the works. So that’s all folks. I will update the article if I learn of something new about these apparent beauties.